Deposit €5 and receive 10 spins on Pirate’s Plenty. Promotion runs until 23:59 CEST on the 30th of April 2019. 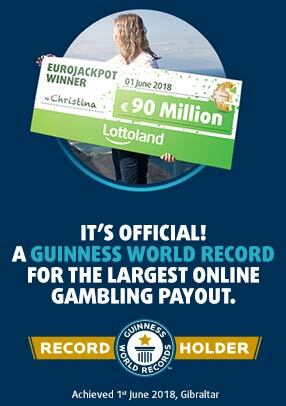 In order to qualify for an award, you must be logged into your Lottoland player account and click on one of the promotional banners during the qualifying period. You must then deposit a minimum of €5. This promotion is available to players on their first deposit only. Only players who can see this promotional banner are eligible to participate. Spins will be credited to your account within a minute of making the deposit. Spins may only be used on Pirates Plenty. Un-used spins expire 3 days after being credited. Players’ position on the tournament can change throughout the tournament. These terms are supplemental to Lottoland’s Promotional Terms and Conditions which are found here.